Named after the influential American cosmologist Edwin Hubble, the Hubble Space Telescope has been doing laps around our planet for 25 years to the day. It was on 24 April, 1990 that the space shuttle Discovery launched this impressive piece of engineering into orbit, an event it had been patiently awaiting since 1986, when the tragic Challenger disaster ground NASA’s space program to a halt. 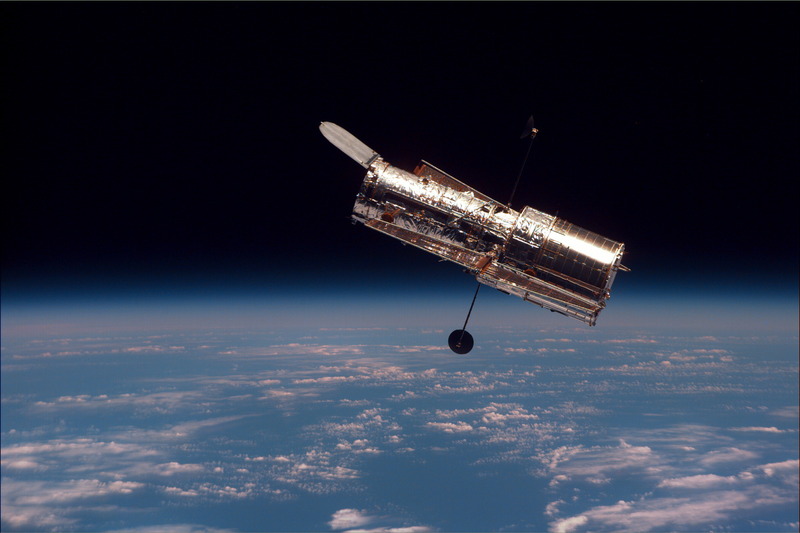 Nevertheless, for the duration of its mission Hubble has been tremendously advancing scientific knowledge and producing countless astonishing snapshots of our universe, awing astronomers and the public alike. Needless to say, a lot of them are also visually stunning. Do not miss this roundup. Since 1990 the Hubble has endured five servicing missions by spacewalking astronauts who have inspected it, repaired faults, as well as installed and updated equipment, and then boosted its position to counter for orbital decay which is causing the telescope to sag lower and lower into Earth’s atmosphere. However, since the last one in 2009, no more servicing missions have been scheduled for this space exploration veteran, which means that it probably won’t get any more boosts. If so, then one day it will sink too low into our atmosphere and NASA will have to crash it in a controlled manner, marking the end of an era. Regardless of whether Hubble is kept going, or left to burn up in a spark, we are not going to end up without new means for exploring the vast blackness around us. The telescope’s scientific successor is already in the works, and is scheduled to start its very own mission quite soon. Named after a former NASA administrator, the James Webb Space Telescope (Webb in short) is not exactly a replacement for Hubble, because it has different capabilities. Hubble primarily studies the universe through optical means, as well as using ultraviolet light. Webb, on the other hand, is going to be primarily looking at things in the infrared, with much greater infrared capabilities than what Hubble can achieve. The Webb “will examine every phase of cosmic history: from the first luminous glows after the Big Bang to the formation of galaxies, stars, and planets to the evolution of our own solar system.” This space observatory is scheduled to be launched into orbit from French Guiana in 2018. To learn more in-depth about the differences between the two missions, head over to NASA’s dedicated website. Meanwhile, Hubble is still out there, and will remain so for at least another few years, likely to share some air time with Webb itself. After a quarter-century, the mission is still far from over.